Thanks for this! 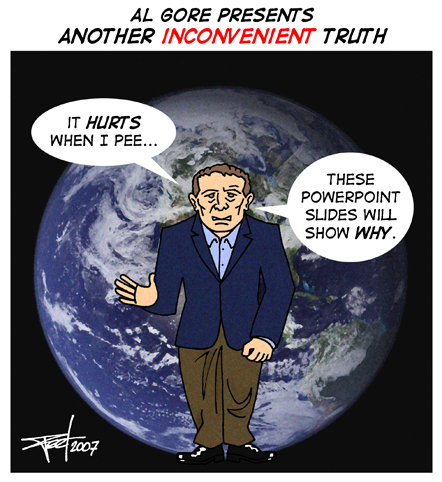 I was beginning to think I was the only one on the planet who is getting thoroughly fed up with Al Gore. Fixed it. Don’t know why that happened. hahaha, that’s one of the best ones onhere, Peet. This is beautiful! There’s something so simple in that first declarative sentence, and it so keenly deflates the carefully crafted image of Uncle Al, the well-meaning pedagogue, that lessens the impact of AN INCONVENIENT TRUTH… Really nice work!